So, you’ve arrived in the adventure capital of the world with only 8 days to get yourself up to Wellington in the North Island. Arriving in Queenstown with only 1 day to explore can be quite daunting as there’s so much to do whether you’re an adrenaline junkie or you’re looking for a relaxing first day but fear not – we have pulled together our top three things to do for adventure and relaxation (we know, you can thank us when you drop the car off!) Anyway, enough of this – let’s GO!. Unless you’ve been living under a rock up until now, you’ll have heard all about Queenstown and its reputation as the adventure capital of NZ, if not the world. Well, that’s certainly true and for you adventure junkies out there, there’s certainly plenty to get your pulse racing. 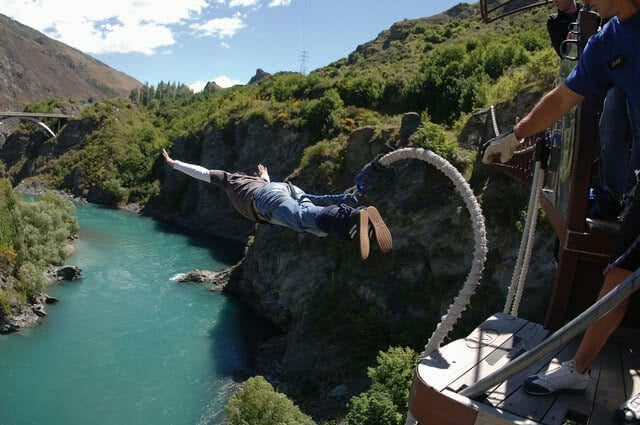 Check out our guide to Around Queenstown for plenty of ideas whether you are an adventure junkie in search of bungy, rafting or maybe a trip up the gondola; there is plenty to do for everyone. 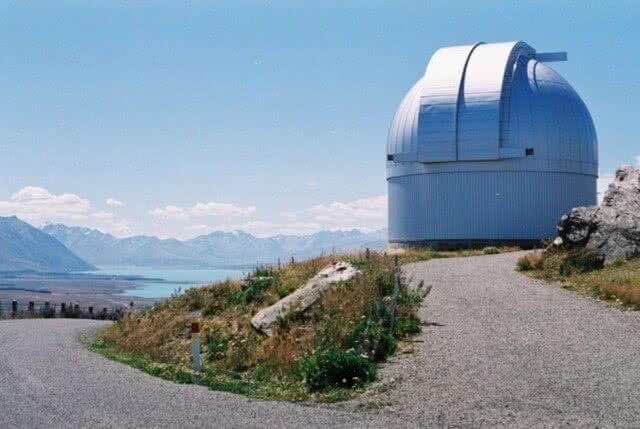 Heading out of Wanaka you’ll first head east before taking SH8 up towards Lake Tekapo. 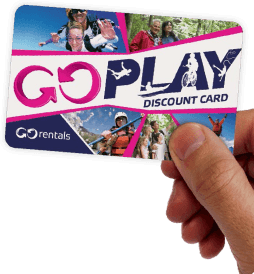 This is a day to really give your new GO Rentals car a run on the winding roads of Canterbury to your final destination of Christchurch and by the end of the day you will have no doubt come up with a name for your faithful beast. Located 75km south of Christchurch and known by locals as the ‘Riviera of Canterbury’, Akaroa is a great stop off as you head north towards Christchurch. This village is located on Banks Peninsula within a harbour of the same name and is considered “the most French town” in New Zealand, as it was the only French settlement in the country. Spend some time exploring the small town and then head to the harbour for the best fish and chips meal of your life (at least that’s Akaroa’s claim so you be the judge and let us know). Day 4 of your road trip brings you to the largest city on the South Island – the Garden City. Spend the morning and early afternoon exploring this beautiful city – some of the GO Rentals team highlights are below. After a busy few days driving up from Queenstown, a day in Hanmer is just what the doctor ordered. Surrounded by the beautiful Southern Alps with crisp alpine air, relax and unwind in the award-winning thermal pools or simply enjoy the peace and tranquillity of Hanmer Village and its surrounding areas. AFor those adventurous souls out there who love nothing more than strapping on a pair of hiking boots and heading off into the unknown, the Queen Charlotte Track offers you the perfect opportunity to explore rural New Zealand. Dominated by a bush-clad shoreline, the track takes you on an amazing journey through the Marlborough Sounds and the 70kms of track will energise even the most active. From here, the final leg of the day will take you the 134kms to Nelson which should take you just short of 2 hours. Waking up in Nelson a busy day awaits you with plenty to see and do. We can’t recommend highly enough spending a day in the Abel Tasman National Park – one of NZ’s true gems and there are lots of things to do in the park including walking and kayaking. Here are just a few of the things to do in the region before you head off to catch your ferry. From the Snout Track, it’s a short hop to the ferry terminal to catch the Interislander ferry across to Wellington. It might be small but New Zealand’s cool capital is jam-packed with things to do and places to see. This is a great place to end your 8 day adventure so take the time to explore before you have to drop off your GO Rentals car. Before you head to the airport to drop off your car, we suggest you park Wexford Road, on the northeastern side of the airport. On a typical windy Wellington day, you’ll have the chance to see what you escaped from (or maybe what you have to look forward to!). Planes taking off and landing in Wellington often sway a little more than they should – a little scary for passengers on the plane, a bit of fun for you safely watching from the comfort of your rental car on rock solid ground.